The Nissan Juke's polarizing styling meant it wasn't universally loved but the sporty Nismo variants complete with manual transmission were hard to resist. It may have been odd to look at but at least it was interesting, which is why we were sad when the Juke was essentially replaced in the US by the less exciting Kicks. The Juke may no longer be a part of Nissan's plans in the US but the Japanese automaker has already been seen testing the prototype for the next-generation model for other markets. The prototype was heavily camouflaged but thanks to the work of rendering artist Nikita Chuiko, we can get a good idea of what the new Juke will look like. Based on what we can see from the camouflaged test mule, these renderings look like they could be very close to the real thing. The rendering takes an evolutionary approach, keeping the Juke's signature front fascia intact. This means two "eyebrow" running lights sit atop two circle main headlights on either side of Nissan's signature V-Motion grille. 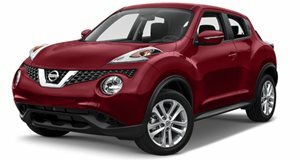 The Juke's overall shape looks to be similar to the outgoing car but the rear end styling looks softer than it did in the previous generation with more conventionally shaped taillights. This new Juke will ride on a new CMF-B platform, which will be shared with the Renault Clio and was designed to accept electrification, so we could see an electric or hybrid Juke in the near future. Engine choices will include a 1.5-liter diesel, a 1.0-liter three-cylinder, and a 1.6-liter turbocharged four-cylinder producing up to 190 horsepower. If Nissan does plan to bring the Juke back to the US, we predict only the most powerful turbocharged gas engine or hybrid variants would be brought over.